Becca launched eight tinted lip balms called the Lush Lip Colour Balm ($22 each). These are creamy tinted balms with a lipstick feel. They have a vanilla scent similar to that of MAC lipsticks which is soft and creamy. Pigment is medium but buildable if you layer and they feel hydrating without feeling heavy or like they’ll slip off the lips. The texture is smooth and they’re comforting on the lips and I like them even in the hot humid weather. My lips have been on a the dry side a bit with the chlorine and salt water from swimming combined with heat – these helped hydrate them significantly after a day’s wear. Lasting power isn’t the best as it is an emollient balm. 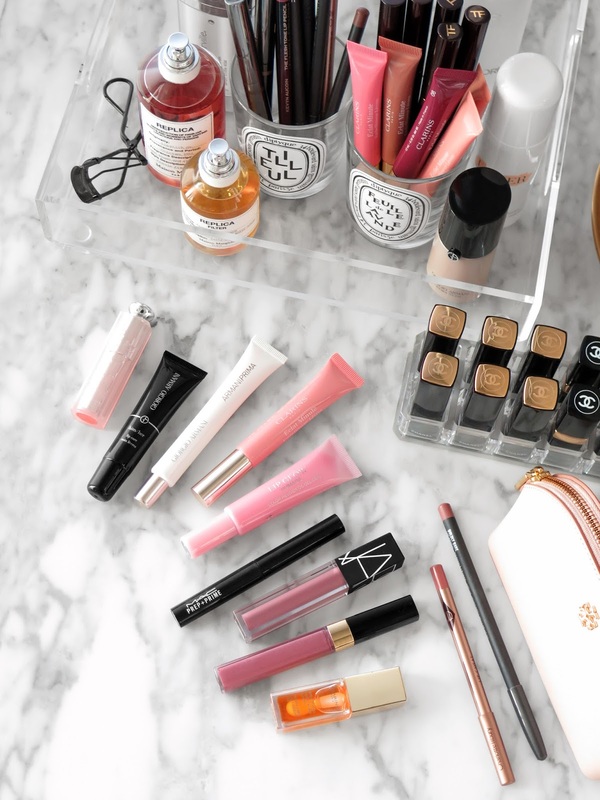 They’re not going to stay put like a longwear lipstick or liquid/matte lipstick – but they don’t disappear on me quickly and it’s something I don’t mind re-applying. Color options have a good range from light to deep and they’re all fairly conservative wearable shades. I did have some streaking with the deeper colors as they had a bit of contrast with my natural lip tone and when I swatched these I did have some peeling going on my lips – but it’s something I can fix with more blending. Lip swatches below on bare lips. The bases I’m wearing include NARS Velvet Matte Skin Tint in St Moritz, MILK Makeup Flex Concealer in Medium set with Armani Luminous Silk Powder in #4. Bottom line love and I think the price is reasonable for the amount. Nicely hydrating with good color payoff for a balm. Smooth finish and a delicious scent. For a balm they are on the lightweight side but not weightless – I can definitely feel product on my lips, but since it’s a balm I don’t mind. My favorite is Ginger Vanille but it’s really hard to pick one favorite. If you need more color/pigment then I’d recommend opting for the Hourglass Confession Ultra Slim Lipsticks (even though they are a lot more expensive, review on all shades soon). By comparison the YSL Volupte Tint in Balms have a more glossy finish and emollient feel. As a sheer lip lover I like both – I think for neutrals the Becca has more options while YSL has more brights. You can find the Becca Lush Lip Colour Balms at Ulta Beauty and Becca Cosmetics. Balms provided courtesy of Becca for review.